If you are drawing on a bitmap layer, you can only use textured brushes. 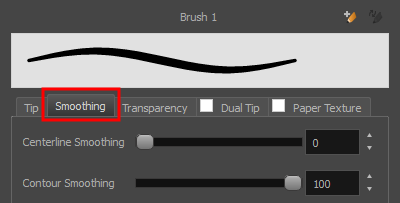 You can create a textured brush that makes solid looking strokes, but they can not be automatically smoothed by Storyboard Pro, nor can they tweaked with vector tools such as the Contour Editor. For more information, see About Layer Types. 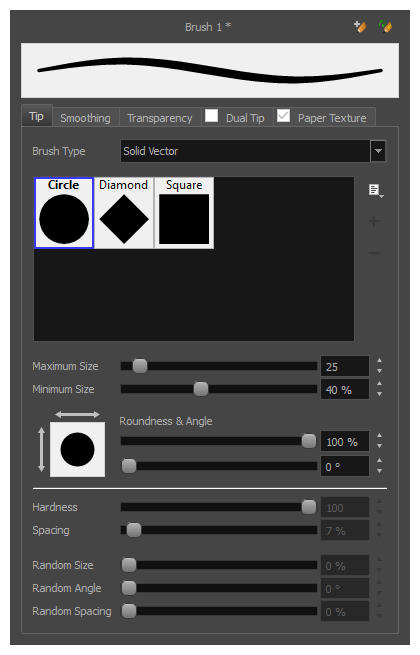 NOTE To learn more about the Brush tool options, see Brush Tool Properties.